Sixto Ríos's parents were José Maria Ríos Moreiro (1880-1970) and Maria Cristina Garcia Martin (born 1885), both school teachers. The name Sixto came from an uncle, a brother of his mother. José Ríos taught in school in Pelahustán where children of all ages were taught in a single classroom. There were two children in the family, the other being a girl, Encarnación Ríos Garcia, who was three years younger than Sixto. Although Sixto's parents were both teachers, both his fraternal and maternal grandparents were involved in agriculture. However, his paternal grandfather, Lorenzo Ríos Curto (born 1849), had a passion for reading and even wrote plays. He was an influence on the young Sixto, encouraging him to read and appreciate books. In 1916, when Sixto was three years old, his parents requested a transfer to teach in schools in Los Navalmorales, Toledo, and their request was granted. They taught me to differentiate the role of intuition and logic in solving a problem. It was Puig Adam who suggested that he try to solve a mathematical problem posed in the Revista Matemática Hispano-Americana. In April 1927 his solution was published in that journal. Having obtained his Baccalaureate in 1928, in the September of that year he began his studies of Exact Sciences in the Faculty of Sciences of the Universidad Central de Madrid. Although Ríos's main studies were in mathematical science, he also studied the two-year course on education following the wishes of his father. He also decided that he needed to have language skills and he taught himself English and German while studying at university. The lecturer he liked best was José Álvarez Ude (1876-1958), who had been professor of Descriptive Geometry at the University of Zaragosa from 1902 to 1916 and later moved to Madrid. Álvarez Ude used texts by Karl Gustav Hermann Thieme (1852-1926), a German mathematician who wrote on geometry, and the Italians Francesco Severi and Federigo Enriques. He was taught analysis by José Barinaga Mata (1890-1965), who had taught in Madrid from 1927 to 1930 before moving to the University of Barcelona, by Tomás Rodríguez Bachiller (1899-1980), who became an assistant in Madrid in 1925 and taught the first course on topology to be given in Spain in that year, and by Esteban Terrades i Illa (1883-1950) who had studied at Charlottenburg in Berlin, Barcelona and Madrid before becoming a professor in the universities of Zaragoza, Barcelona and Madrid. A few visitors gave talks at Madrid including Vito Volterra and Luigi Fantappié. One of Ríos's fellow students, but slightly older, was Luis Antonio Santaló. Ríos was elected as a student representative on the Faculty Board in 1930 and, in the following year, was awarded a scholarship by the Mathematical Seminar and there met Julio Rey Pastor for the first time; Rey Pastor was based in Argentina but spent a short time in Madrid each winter. In the academic year 1931-32 Ríos studied a course on Mathematical Statistics taught by Esteban Terradas. The course was based on work by Ronald Fisher, Bruno de Finetti, and Andrey Kolmogorov. Professor Barinaga barely gave his assistants time to solve the problems before going to class, which made them nervous in case some compromised situation arose in class. One day Ríos placed on the chalkboard, before Barinaga arrived, an easy and simple solution he had found to one of the difficult problems. Barinaga was surprised because the solution he had designed was rather more complicated. In November 1934 he became an assistant to Tomás Rodríguez Bachiller. He submitted his doctoral thesis, La hiperconvergencia de las integrales de Laplace Stieltjes Ⓣ, and was awarded a doctorate on 21 December 1935. His thesis, which was a continuation of Alexander Markowich Ostrowski's works on potential series, was published in 1936. In July of that year Ríos and his family were on holiday, living in a tent in the Carmelites in El Escorial. While there they learnt of the civil war and its meaning for them quickly became evident when Ríos's father was arrested. After only three or four days his father was released and the family moved to Cercedilla. Ríos was excused military service on health grounds but the Commander of the Military Command of Cercedilla required him to become his assistant secretary, making him teach mathematics to military chiefs. In 1937 he was awarded the First Prize of the Spanish Royal Academy of Sciences for his paper Sobre el problema de hiperconvergencia de las series de Dirichlet cuyas sucesiones de exponentes poseen densidad máxima infinita Ⓣ (1940) and Conferencias sobre sucesiones de funciones analíticas y sus aplicaciones Ⓣ (1940). The delay in publication of the papers (written four years earlier) was due to the civil war and similarly there was a delay in Ríos receiving the prize, which did not happen until 15 November 1941. Before this, however, he was able to return to his university teaching. Along with other academics he was obliged to complete an affidavit on 15 April 1939. He was able to return to the Universidad Central de Madrid but these were difficult times and he only achieved this with help from his uncle, Hermenegildo Alfonso Ríos, Commander of the Carabineros, who managed to arrange all the documents he needed. The Royal Academy of Sciences granted him the Chair of Mathematics in the Foundation Conde de Cartagena in 1940. This was a five year appointment, but was extended for another five years to 1950. In November 1940 he became Assistant Professor of Mathematical Analysis IV at Universidad Central de Madrid. In the following year he became Professor of the Military Academy of Aeronautical Engineers of Madrid, requiring him to be given an honorary military position before he could serve in this role. In the same year he became a Fellow and collaborator of the Higher Council for Scientific Research. On 26 August 1941 he was appointed to the Chair of Mathematical Analysis of the University of Valencia. In December 1942 he was appointed to the Chair of Special Mathematics at the University of Valladolid. ... the horizon was more modest and the working conditions worse. ... type of research in which one starts from reality, builds a model and draws non-trivial consequences, was more attractive to me than the work of the pure mathematics. For a version of the whole of this address, see THIS LINK. On 29 July 1950, Ríos married María Jesús Insua Negrao in the Chapel of the Holy Spirit of the Consejo Superior de Investigaciones Científicas. María was twenty-three years old and Ríos was thirty-seven at the time of their marriage. They had six children María Jesús Ríos-Insua, Cristina Ríos-Insua, Sixto Ríos-Insua, Valeria Ríos-Insua, David Ríos-Insua and Alba Ríos-Insua, three of whom became mathematicians undertaking research into similar areas of operations research and statistics as their father, namely Sixto Ríos-Insua, David Ríos-Insúa and María Jesús Ríos-Insua. Let us record at this point that Sixto Ríos-Insua and María Jesús Ríos-Insua co-authored the book Procesos de Decision Multicriterio Ⓣ (1989) with their father. Ríos with his sons Sixto Ríos-Insua and David Ríos-Insúa collaborated on the six author paper Allais phenomena and completeness of preferences (1997) with J Pachón, M A Pacios and P García Barreno. For other works that Ríos published with his three mathematical children, see THIS LINK. This is a charming and elementary book that fulfils, within the limits the author sets for it, the promise of the title. For a longer extract, see THIS LINK. The author of this book is the director of a school of statistics which has been organised in the University of Madrid since the last war. The word "school" should, in this context, be understood to mean a teaching establishment rather than a research group, and it is of interest to see how energetically Professor Rios assists his students in catching up with that statistical knowledge to which British and American scholars have, as yet, made significantly more contributions than his fellow countrymen. The volume now under review is the second part of a course in mathematical statistics. It deals with a number of subjects not often found in textbooks. ... gives a general review of the development of O.R. [He] refers briefly to war-time examples and indicates some industrial applications. Principles and methods are discussed and directions in which it may be useful are indicated. With his move from analysis to statistics, Ríos has a publication list with a remarkable range of important works. Our list of his publications is far from complete but the reader can at least get a flavour of the range of his publications given at . Ríos received many honours, some of which we now list. 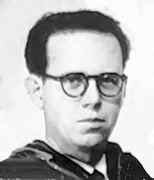 In 1958 Ríos was elected a Fellow of the Institute of Mathematical Statistics. In January 1959 he was elected to the Royal Academy of Exact, Physical and Natural Sciences. In the following year he was honoured with the street in which he was born in Pelahustán being named 'Sixto Ríos'. In May 1966 he was elected to the Academy of Exact, Physical and Natural Sciences of Buenos Aires. From 1970 to 1984 he was President of the Spanish Operational Research Society. From 1974 to 1992 he was President of the Exact Sciences Section of the Royal Academy of Exact, Physical and Natural Sciences. He was awarded the Francisco Franco Prize for Research in Sciences in September 1975 for his important research work in Mathematics and in the following year he received the National Award for Mathematical Research. He was made an Honorary Fellow of the Royal Statistical Society in 1978. The Universidad Complutense de Madrid awarded him their Gold Medal for fifty years of teaching on 28 January 1983. He received an honorary doctorate from the University of Oviedo in January 2000 and in April of the following year the University of Seville gave him the same honour. In 1983, at the age of 70, Ríos retired. However, he continued to undertake research, publish articles and books, and attend international conferences. On 15 November 2003 his wife María Jesús died in Madrid. His son, Sixto Ríos-Insua, died in Madrid on 11 June 2008 and less than a month later Ríos died of bronchitis at the Clínica de la Luz in Madrid.